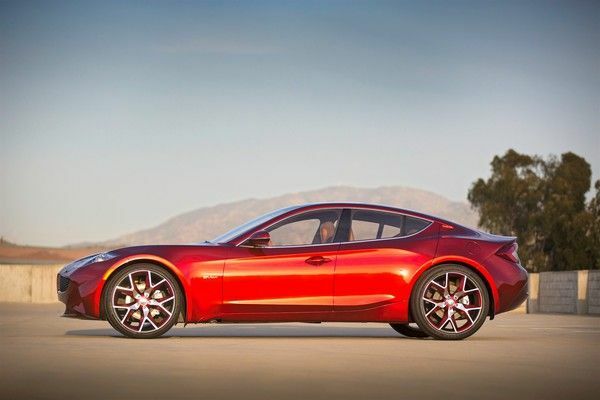 A Hamburg based investment group has sent a detailed buyout offer for Fisker Automotive to the Dept. of Energy. The fate of Fisker Automotive has been hanging by a thread for months, following the departure from Henrik Fisker from the company and an apparent collapse of buyout talks. Now, an investor group led by Hamburg Germany lawyer Ingo Voigt is making a bid for Fisker, and in a Facebook posting Voigt said the group had sent a detailed proposal, letter of intent and restructuring plan for rescuing Fisker to the Department of Energy. It was reported in the German magazine Autobild last month that Voigt, a Karma owner, and his colleagues Hendrik Klein and Sören Müller from the Frankfurt-based investment company Fritz Nol AG, have drawn up a restructuring plan that includes shifting production to the USA. The Fisker Karma had been produced in Finland by Valmet, a contract automobile manufacturer. However production stopped in July 2012, exacerbating the already serious troubles at A123 Systems. Those troubles led to A123's bankruptcy and buyout by a Chinese company, the Wanxiang Group. In the case of Fisker Automotive, the company was running low on cash after sales dried up, and during the winter 2013 there were many reports that Fisker's management was shopping the company around. Why did Voigt send the letter of intent to the Dept. of Energy? Fisker Automotive had received loan guarantees from the DoE back in 2009. A chunk of that money was used to finish the design of the Fisker Karma, and the rest was to be used to support designing the Fisker Atlantic and setting up a factory to build the car. Fisker bought a former General Motors plant in Delaware and was working to refurbish the plant, equipping it for manufacturing. In early 2012, however, the Dept of Energy froze the loans to Fisker after the company had missed several business development milestones. That means the Dept. of Energy is one of Fisker's lead creditors and has some say in Fisker's fate. In particular, any plans for use of the former-GM factory in Delaware is going to be connected to covenants in the DoE loan because that factory was paid for using DoE loan money. Autobild says Voigt's investors group had offered $25 million back in August. That would be a fraction of the investments in Fisker, the company had raised over $1 billion in private capital in addition to the loans from the Dept of Energy. The magazine says the resurrection plan is for small batches of the Karma to begin production in Delaware. They would then move on to manufacturing the Fisker Sunset, but not the Atlantic. That's puzzling since Fisker had claimed the Atlantic design was nearly finished, but Autobild says the decision is due to "cost reasons." Of course, the resurrection plan could well have changed since then. Fisker Automotive never went into bankruptcy which could simplify the process. Hat tips to GreenCarReports and Greg Dudevoir on Twitter.